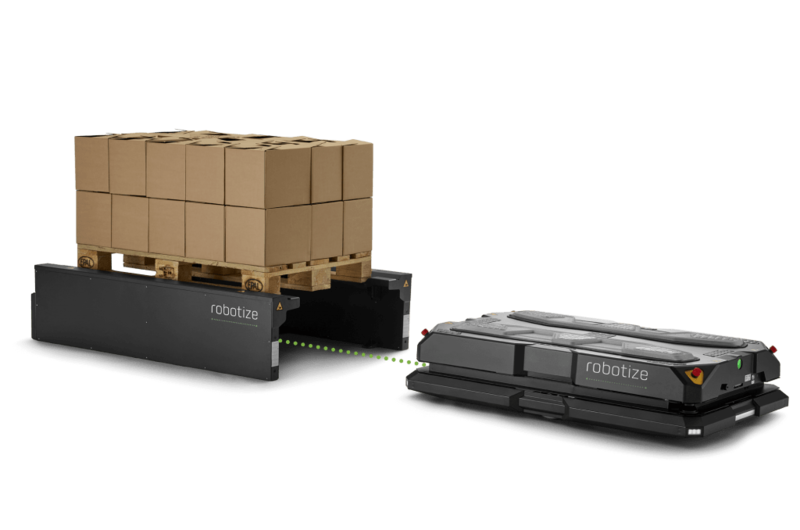 GoPal lets you automate pallet transport and collect all the data you need to optimize internal transport. Best of all, it can be integrated with your current ERP/WMS systems and does not require any significant changes to your buildings or workflows. 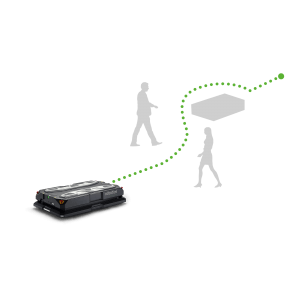 The GoPal is a mobile robot (Self Driving Vehicle) that allows you to automate transport of EUR-pallets – either as part of industry 4.0 automatization or on its own. The system can be set up to fit any type of application, from simple A-B delivery with a call button to fully automated production support with ERP/WMS integration. 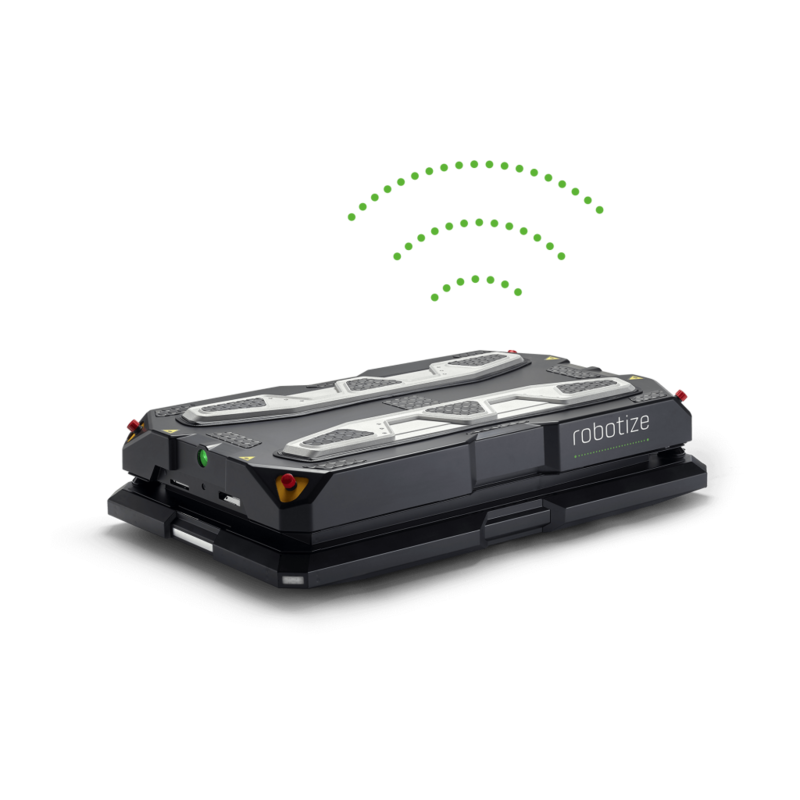 Data on all aspects of both individual robot and system performance is collected and logged in the GoControl computer for use in connection with future optimisation, troubleshooting and servicing. This extensive data collection provides invaluable insight into the current state of your company’s internal transport and its future needs. The GoPal can be fully integrated into your existing ERP/WMS systems. 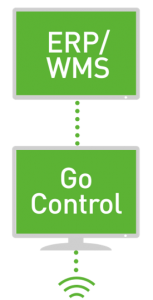 In this case, your ERP/WMS system will make delivery requests to the GoControl computer, which then places a delivery order in the robot system queue. These orders can be assigned priorities from low (waste removal) to high (materials supply). Unlike forklifts, the GoPal uses modern LiFePO4battery technology, which allows for both fast and partial charging – without costly employee involvement and installation of ventilated charging stations. Robots are charged automatically when it best fits their work schedule to ensure that there is always a GoPal ready and available to get the job done – even in facilities that operate 24/7. The GoPal needs only about the same space to operate as an employee with a pallet jack and can turn on its own axis. 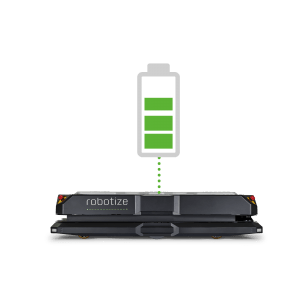 This alone makes it one of the most manoeuvrable and agile mobile robots on the market. It also features intelligent navigation that allows the GoPal to make dynamic decisions on the fly – like a human driver with a GPS. If the GoPal comes across an obstacle – such as an object or a person – it will drive around it. If the path is completely blocked, the GoPal will look at its map and find the shortest alternate route to its destination. I give consent to the processing of personal data, by RMA Sp. z o.o. with headquarters in Gdynia [ul. Chwaszczyńska 133 A, 81-571 Gdynia], registered in the Commercial Register by the District Court Gdańsk-Północ in Gdańsk, 8th Commercial Division of the National Court Register under No. KRS 304949 in the contact form.